"There are many works of history that are revered, but few that are loved as Religion and the Decline of Magic is." So says award-winning author of Wolf Hall, Hilary Mantel, of historian Keith Thomas' 1971 book. Religion and the Decline of Magic examines popular belief in 16th and 17th century England, a key period during which leaders of the Protestant Reformation tried to disentangle magic from religion itself. Thomas argues that magic was popular because it offered practical solutions to everyday problems. Few social historians had examined the popular religious beliefs of the 1500s at the time Thomas wrote Religion. His analysis of that period allowed him to claim that social history can answer important questions about changing mentalities. 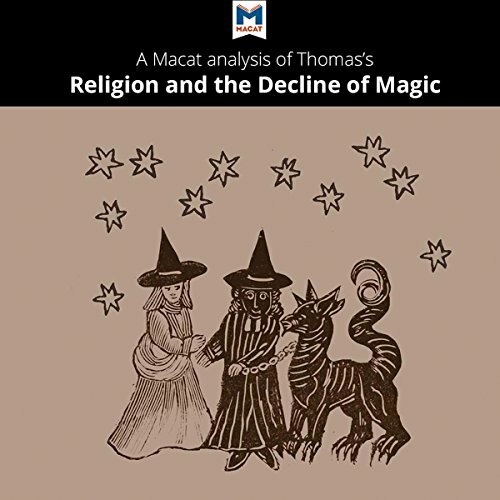 More than 50 years after its publication, Religion and the Decline of Magic remains one of the great works of post-war scholarship. You can find out more about how Thomas' ideas have been challenged and applied - and how his work has impacted on thinkers in other academic disciplines - by exploring further in the Macat Library. Macat's analyses cover 14 different subjects in the humanities and social sciences. Macat. Learn better. Think smarter. Aim higher.